The 16th Venice Architecture Biennale closed its doors on Sunday, November 25, ending a successful year for the prestigious design exhibition. 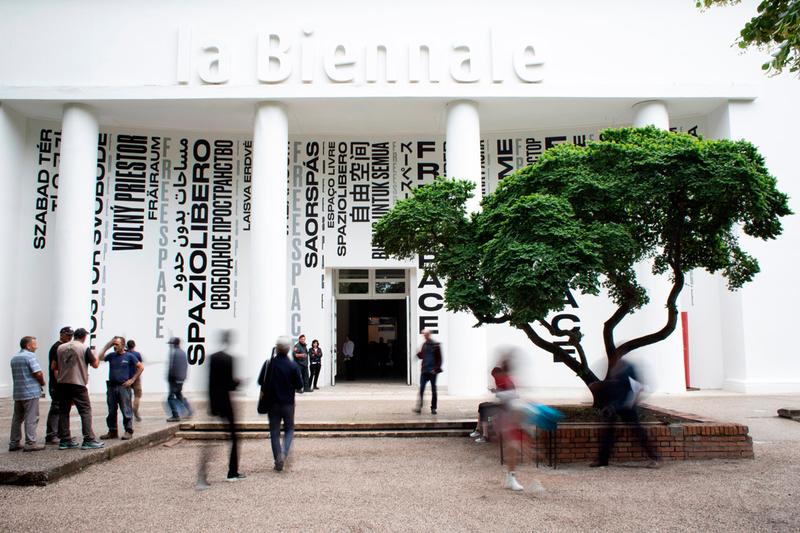 According to a statement from the biennale's organizers, over 275,000 people visited the show and half of those visitors were under the age of 26. The event's curators for 2018, Yvonne Farrell and Shelley McNamara of Grafton Architects, said in a statement that the show left them "with a deep sense of optimism for the future, in the knowledge that within these satellites of cultural energy which each participant represented, there are outstanding architects promoting and producing architecture." This year's theme was FREESPACE, which, according to Farrell and McNamara, was meant to "celebrate the shared culture of architecture, demonstrating how inventive, comforting, exhilarating, modest, heroic architecture can be; how architecture serves the needs of human beings with dignity and respect be it the need for shelter, for water, for protection from flooding; how materials can be transformed into beautiful uplifting spaces; how architecture can bring people together and serve communities; how architecture can transform waste leftover spaces into public space." Seventy-one architects were invited to this year's show, and 63 nations participated, 6 of which (Antigua & Barbuda, Saudi Arabia, Guatemala, Lebanon, Pakistan, and the Holy See) did so for the first time. The show takes place every other year in the historic Giardini Pavilions and Arsenale in Venice, Italy. Freespace describes a generosity of spirit and a sense of humanity at the core of architecture's agenda, focusing on the quality of space itself. Freespace focuses on architecture’s ability to provide free and additional spatial gifts to those who use it and on its ability to address the unspoken wishes of strangers. Freespace provides the opportunity to emphasise nature’s free gifts of light - sunlight and moonlight, air, gravity, materials—natural and man-made resources. Freespace can be a space for opportunity, a democratic space, un-programmed and free for uses not yet conceived. There is an exchange between people and buildings that happens, even if not intended or designed, so buildings themselves find ways of sharing and engaging with people over time, long after the architect has left the scene. Freespace encompasses freedom to imagine, the free space of time and memory, binding past, present and future together, building on inherited cultural layers, weaving the archaic with the contemporary. We are interested in going beyond the visual, emphasizing the role of architecture in the choreography of daily life. We see the earth as Client. This brings with it long-lasting responsibilities. Architecture is the play of light, sun, shade, moon, air, wind, gravity in ways that reveal the mysteries of the world. All of these resources are free. It is examples of generosity and thoughtfulness in architecture throughout the world that will be celebrated in the 16th International Architecture Exhibition. We believe these qualities sustain the fundamental capacity of architecture to nurture and support meaningful contact between people and place. We focus our attention on these qualities because we consider that intrinsic to them are optimism and continuity. Architecture that embodies these qualities and does so with generosity and a desire for exchange is what we call Freespace. “A society grows great when old men plant trees whose shade they know they shall never sit in” - Greek Proverb. Farrell and McNamara founded Grafton Architects in 1977 and made their first Biennale appearance in 2002. In 2012, their firm won the Silver Lion for a promising practice. Their projects are mostly institutional—for universities, schools, and governments—and are spread across the globe. Most recently, their Universidad de Ingeniería y Tecnología (UTEC) building, seen above, won the inaugural 2016 RIBA International Prize. Their statement in full, along with President of La Biennale di Venezia, Paolo Baratta's remarks, can be found here. The Exhibition curated by Alejandro Aravena offered visitors a critical overview of the worldwide evolution of architecture and underlined how important it is that a qualified demand on the part of individuals and communities be met by an equally effective response, thereby confirming that architecture is one of civil society’s instruments for organizing the space in which it lives and works. Along these lines, Yvonne Farrell and Shelley McNamara will continue to address the same theme but from the point of view of the quality of the public and private space, of urban space, of the territory and of the landscape as the main ends of architecture. The curators, who are well-known for the refinement of their work, are also known for their intense didactic activity and their ability to involve and fascinate new generations. The biennale will begin May 26, 2018, and run through November 25, 2018. 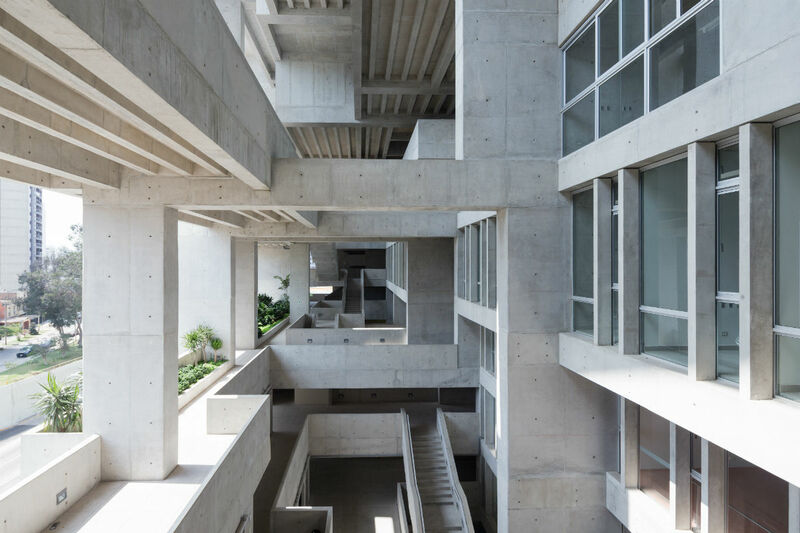 Lauded as a "modern day Machu Picchu" by judges, Irish firm Grafton Architects has won the inaugural RIBA International Prize for their Universidad de Ingeniería y Tecnología (University of Engineering and Technology, known as "UTEC") building in Peru. The Dublin-based practice saw off competition from Zaha Hadid Architects, Foster+Partners, David Chipperfield, Nicholas Grimshaw, Shigeru Ban, and this year's RIBA Stirling Prize winner Caruso St John. "Grafton Architects have created an innovative new model for a university campus that is highly responsive to its local environment and community," said RIBA president Jane Duncan. "The concept of a ‘vertical campus’ defies convention, as does the mix of open and enclosed spaces, but both are key to the success of this building visually and spatially." The Dublin firm worked alongside local studio Shell Arquitectos on the design for UTEC, which echoes South American brutalist vernacular and the dramatic topography of the site. Contrary to its external aesthetic, the building is home to a myriad of open and visually connected spaces (especially circulatory ones) that work in tandem with the site's climate. In fact, the only closed spaces are classrooms, offices, laboratories, lecture theaters, seminar rooms, and toilets. As a result, campus social life can take place in the open air, encased by terracing yet on display to those passing through. UTEC officially opened in April 2015 and, according to RIBA, it is the "culmination of years of spatial and formal experimentation by Grafton Architects." RIBA's "International Prize" is the first from the architectural body that is open to any qualified architect in the world. This year's jury saw esteemed architects Richard Rogers and Kunlé Adeyemi form a five member strong judging panel. According to RIBA, the new prize is "awarded to the most transformative building of the year which demonstrates visionary, innovative thinking, excellence of execution, and makes a distinct contribution to its users and to its physical context." Sitting on the border of two residential districts in Lima, in section UTEC perches tantalizingly on the edge of a ravine. Seen from across the ravine it is as bold and as pure a statement of the symbiosis between architecture and engineering as could be imagined; a piece of geology imposed on its pivotal site, mirroring the organic curve of the landscape and accommodating itself in the city. To its close neighbours, it is a series of landscaped terraces with clefts, overhangs and grottos, a modern day Machu Picchu. UTEC has been designed to encourage its students to interact in a unique way with the building. The vertical structure provides open circulation and meeting spaces in a succession of platforms that compose the ‘frame’ of the building; teaching rooms, laboratories and offices are enclosed, inserted into and suspended from the exposed concrete structure. The frame is a device providing shade, a place of rich spatial exuberance and a platform from which to view the life of the city. The entire life of this vertical campus is on full display to the people of Lima. UTEC is the culmination of years of experimentation by Grafton Architects. In this building they show the mastery of their craft, gifting Lima with a bold yet considerate contribution to the city and a visionary, world-class building.